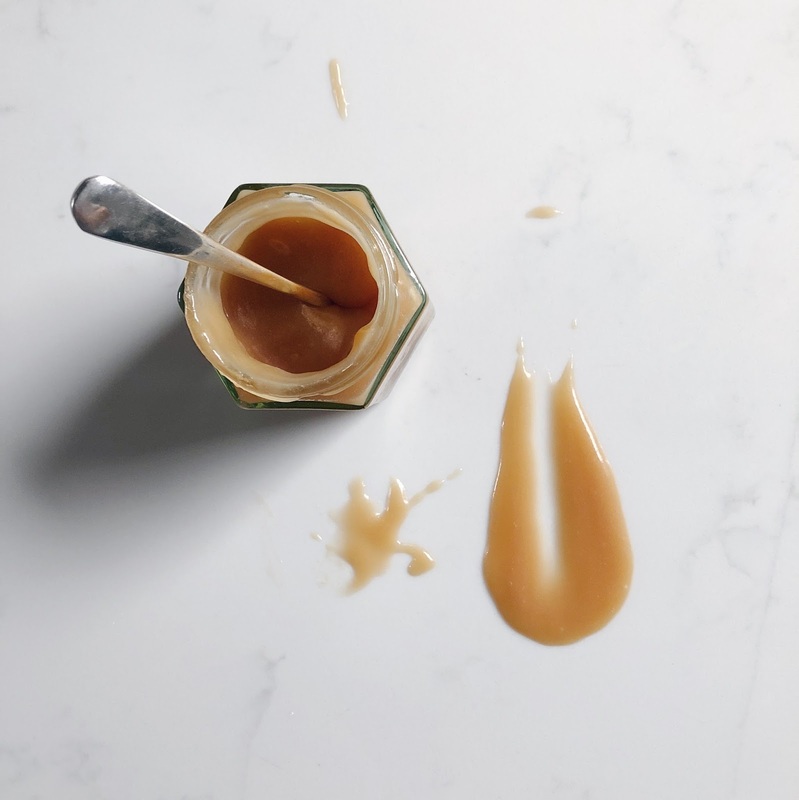 There are many ways that you can make salted caramel, most involve some sort of russian roulette with your sugar, stir it continually, don't stir it at all, stir it occasionally; mostly resulting in burnt sugar stuck to your pan. This is my go to recipe, it works every.single.time. Stirring the sauce continually helps to avoid any burnt bits of sugar forming and if you do get any lumps when the cream is added you can gently heat again to melt them. Simple and so so tasty! Pour the golden syrup into a small saucepan. Sprinkle the caster sugar on top of the syrup. Place the pan onto a medium heat and stir constantly until the sugar has dissolved and the caramel is bubbling and a rich amber colour. Remove from the heat and pour the double cream straight in; be careful as it will bubble and may splutter. Add 1 tsp of sea salt flakes and stir together. If, at this point, any burnt bits of caramel form gently heat the sauce, stirring, until the burnt bits have melted. Pour into a sterilised jar and leave to set. Once set the caramel sauce will keep for 6-8 weeks in the fridge.